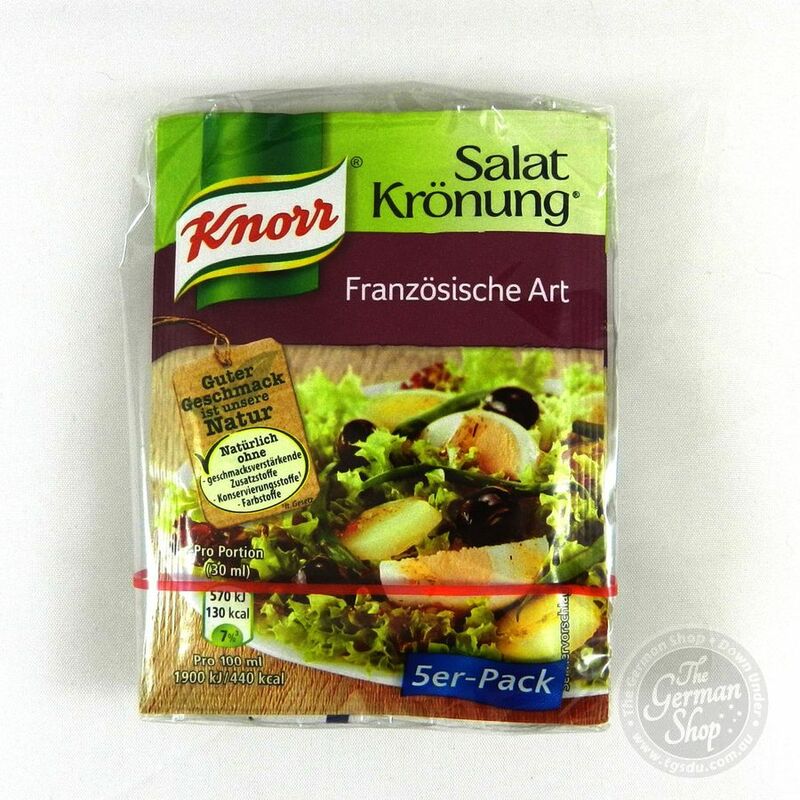 Knorr Salatkrönung French-style gives your salad a delicate and savory taste. 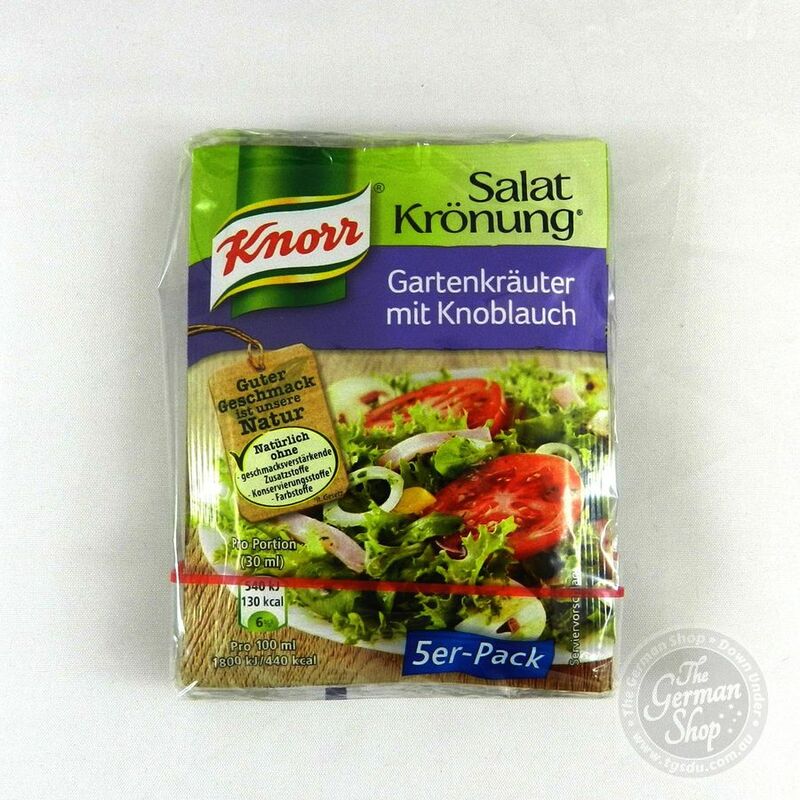 Just mix with a little water and olive oil and ready is a fine herb dressing. 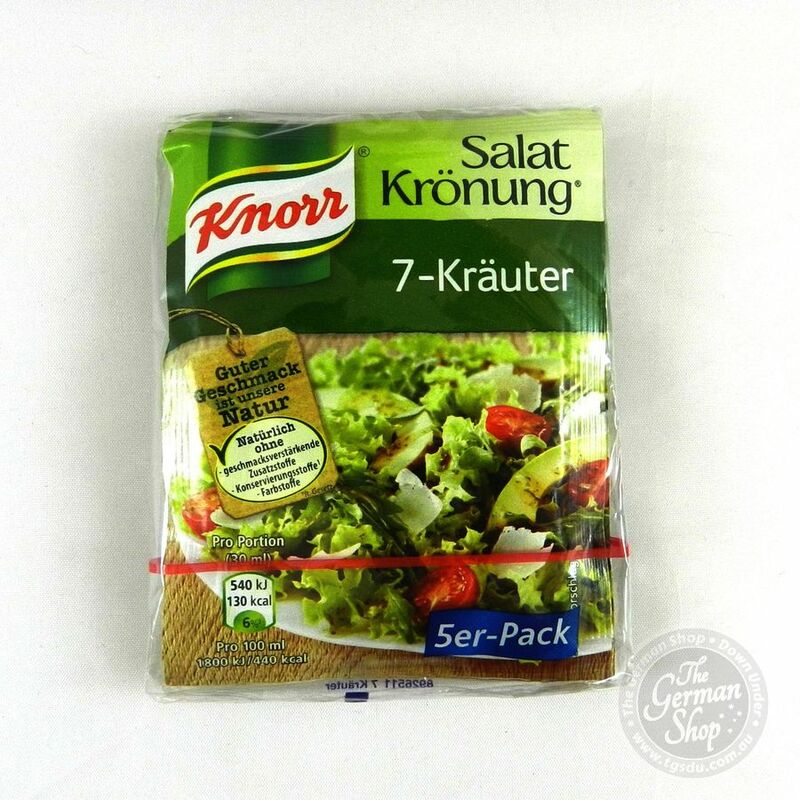 The carefully selected herbs are preserved by natural drying and will keep their special flavor. 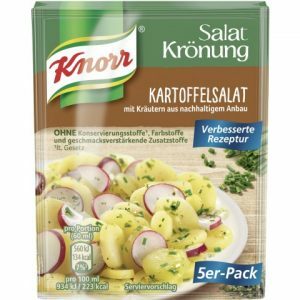 Maltodextrin, sugar, 11% iodized sea salt², 8% herbs (parsley, chives, chervil, dill, sugar beet), acid controller , flavors.